During this 8-hour face-to-face course, you’ll discover 41 modern mace exercises, traditional mace exercises like the 10-to-2 and 360… AND a whole lot more! 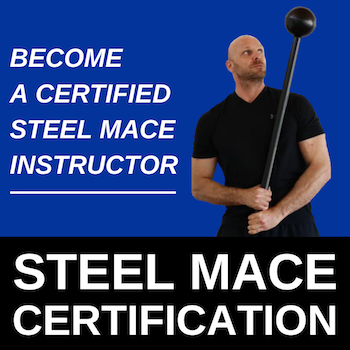 Our FFC mace certification is accredited with Fitness Australia and recognised Worldwide by the International Confederation of Registers of Exercise Professionals (ICREPS). BONUS: BOOK YOUR SPOT TODAY AND RECEIVE YOUR VERY OWN STEEL MACE… FOR FREE!